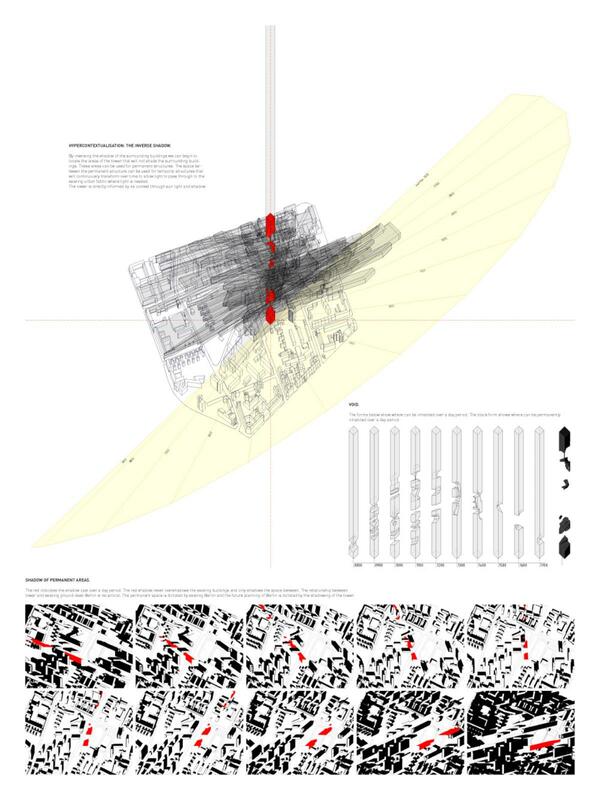 'The Orchestrated City' is a speculative project exploring issues of flexibility, scale and context. Berlin is the ideal environment for this exploration as its rich history has left it with many centres – symbolic ones, un-realised ones, iconic ones. This project is developed on the geographical centre of Berlin, but each tower is a product of its immediate urban context through shadow and program. 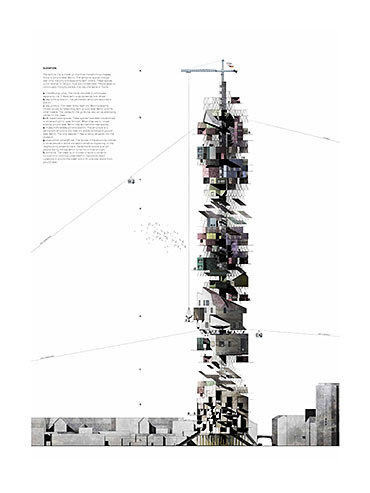 It challenges the general preconception that vertical cities are un-contextual by establishing new forms of contextual relation. The project is developed from a critical standpoint towards ‘vertical cities’. 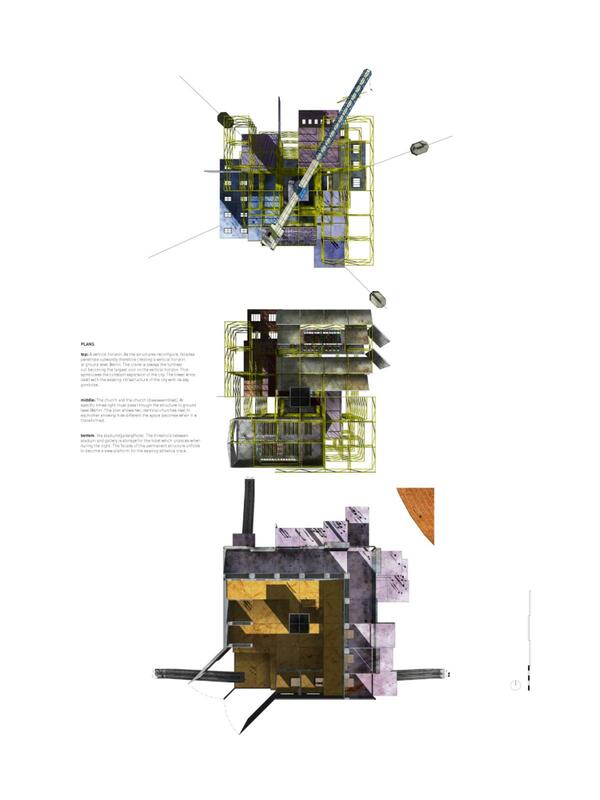 The project tests their opportunities whilst addressing their challenges through spatial proposition and re-conceptualisations of context, density and horizon. 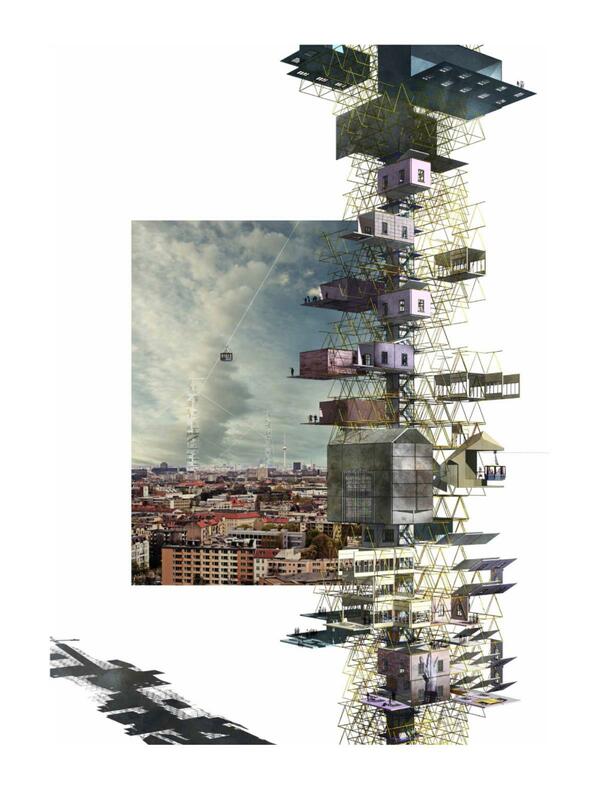 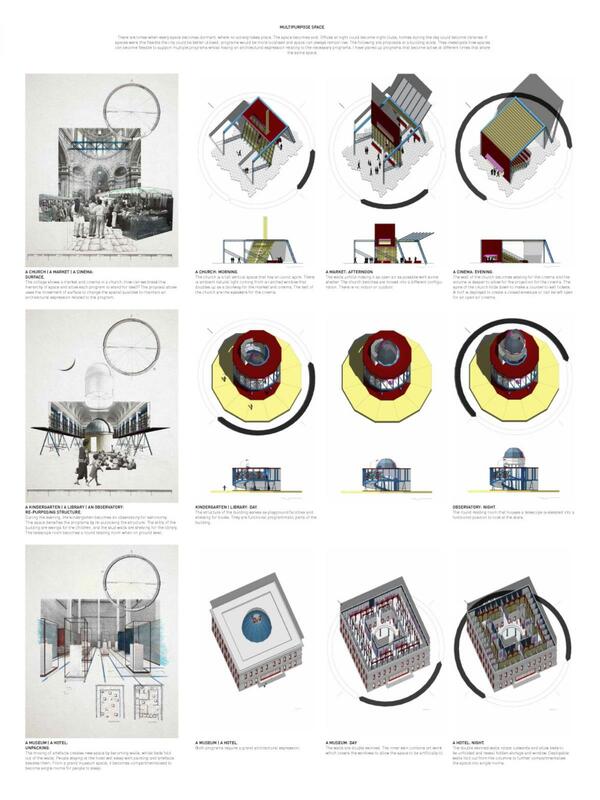 The project investigates the idea of programmatic relationships through methods of re-organisation and hierarchy and challenges the idea of ‘vertical cities’ and the implication these have on their surroundings. 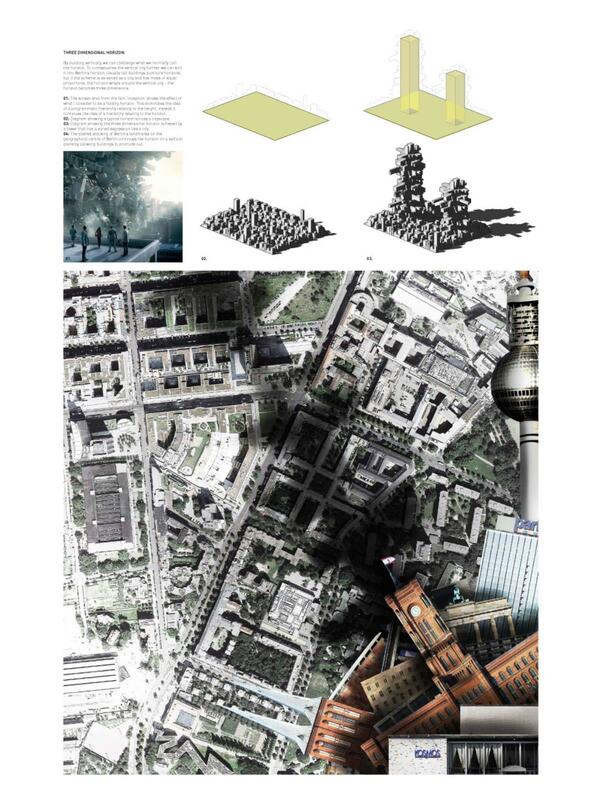 Programs occur within a 3D field condition. 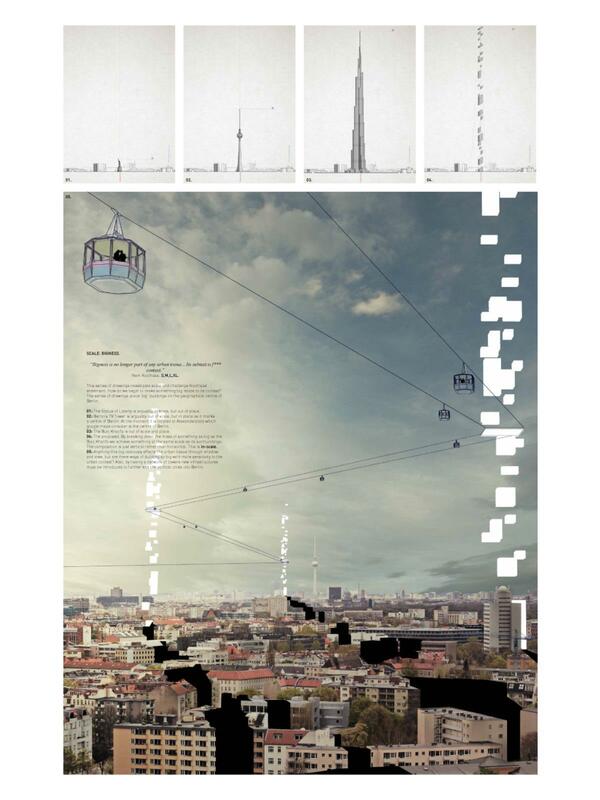 These change over time replicating the idea of a city’s dynamic programmatic hierarchy. “The problem is not architecture. The problem is the re-organisation of things that already exist.” Yona Friedman. A critique of contemporary ‘vertical cities’ is that they do not behave as cities. 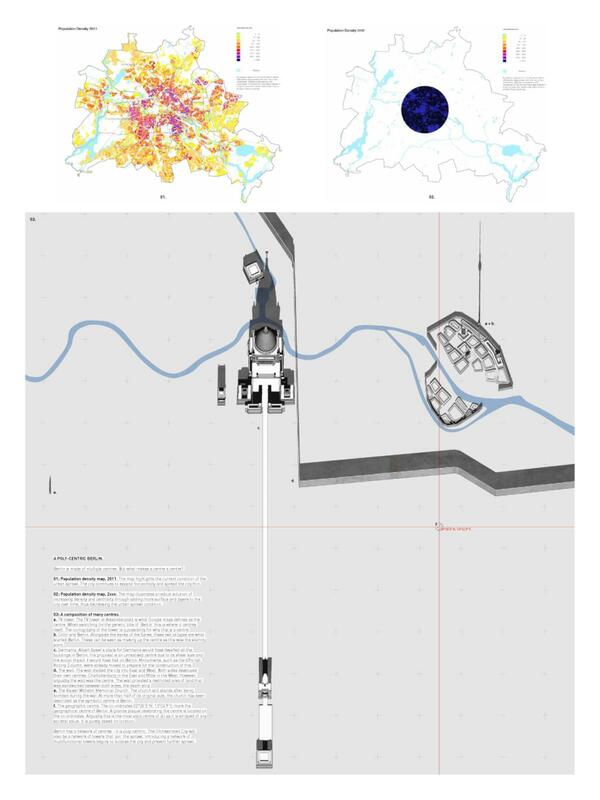 They have homogeneous expressions and do not allow for urban expansion. 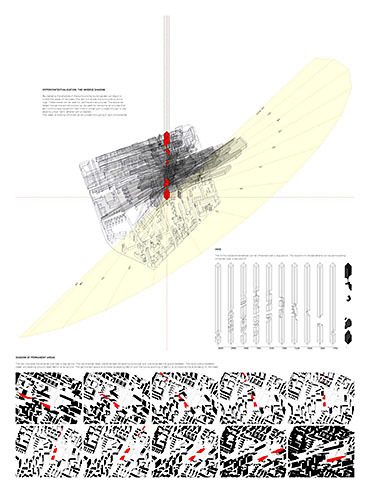 This project tackles this by building synergies within the existing urban fabric. 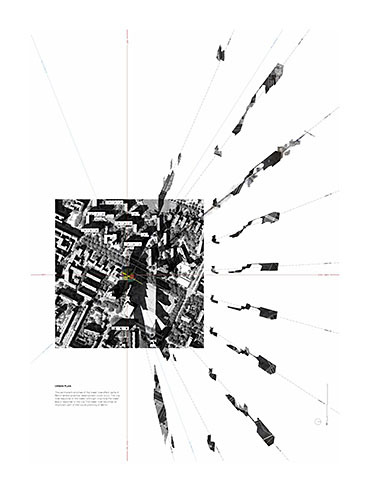 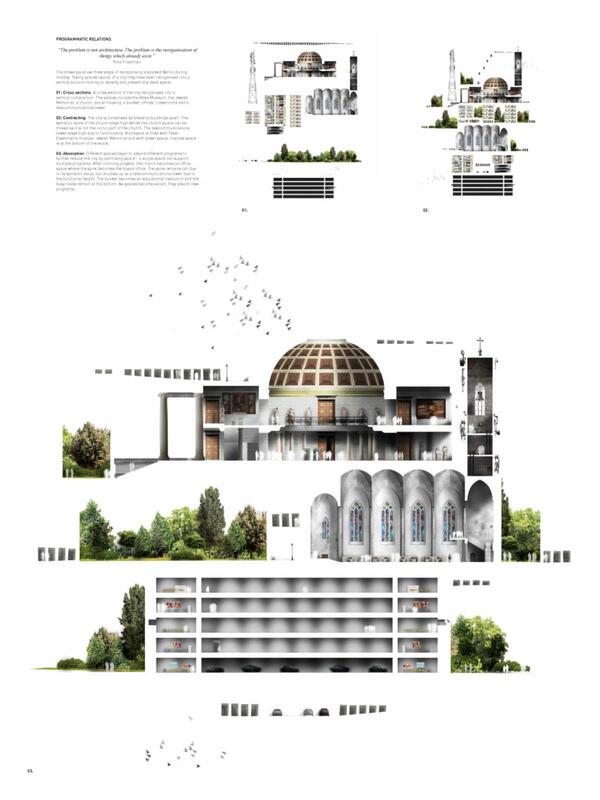 The architecture of 'the Orchestrated City' consists of both the permanent and the temporal. 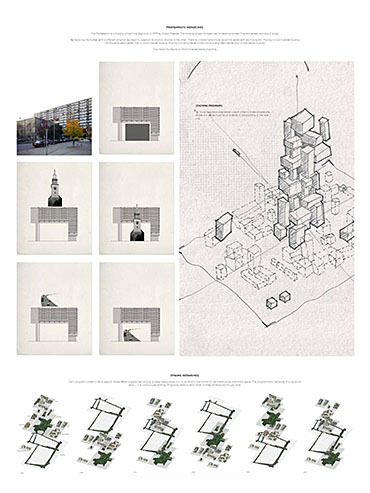 The permanent structure is sculpted by the context to have a minimal impact on the buildings at ground level. 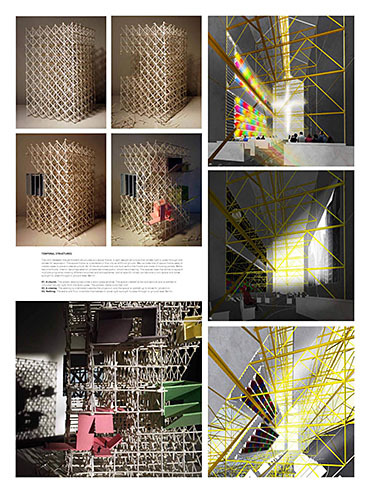 The temporal structures are made from a series of kinetic surfaces that create a plethora of spaces that can be inhabited by spatial specific programs. 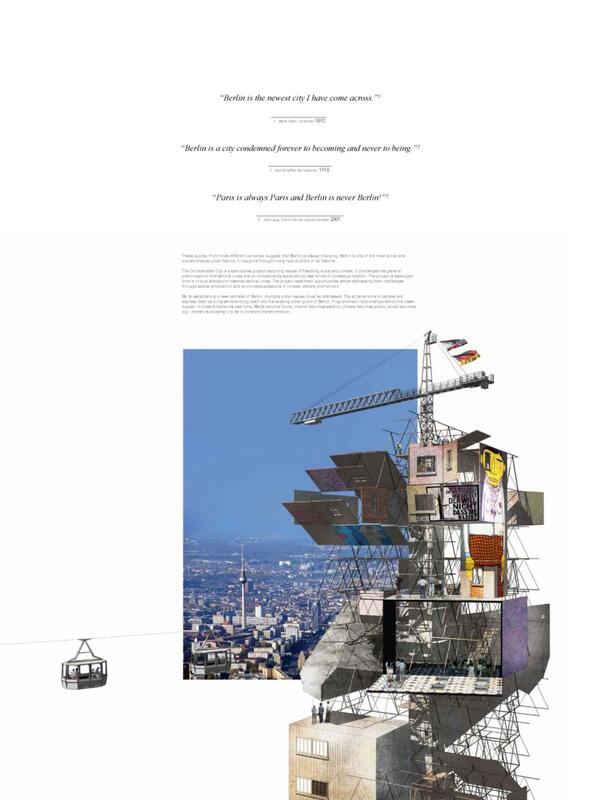 Walls become floors, interior becomes exterior, private becomes public – the city is orchestrated and always has a purpose. The project thus re-organises the city to optimise both horizontal and vertical space throughout time. 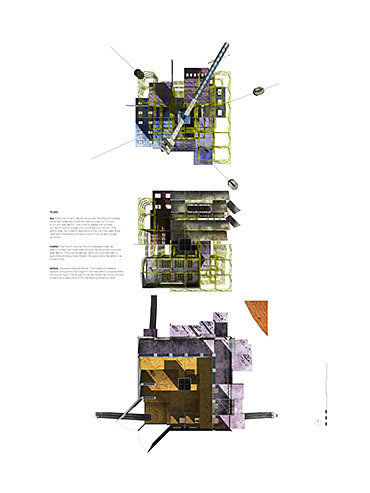 Components interact with and build on top of each other in much the same way as this project builds on the theory and ideas of other architects. Taking their thoughts into account, it provides a vehicle to explore and challenge conceptual use of space and time. 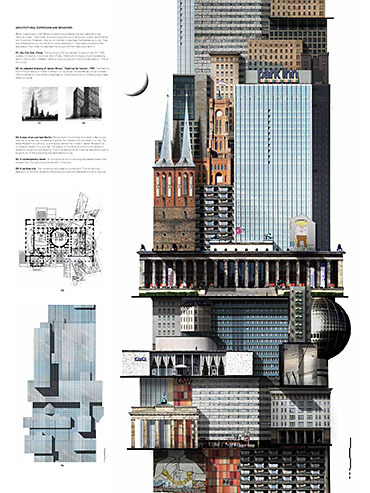 The Architectural Expression of a City.